NEW Auto Fishing Device ! *Do not worry about the exposed hooks or spring loaded devices hooking for you or your family ! *Port Arthur Instant Limb Lines are designed for easy storage and transport !! "HOOKS THE FISH, NOT ON YOUR BOAT, EQUIPMENT, OR YOU!!" ​*Throw away your tangled up yo-yo's or other spring loaded devices and switch to Port Arthur Limb Lines Today!!! 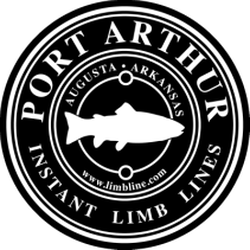 Make your fishing trip a worry free and tangle free experience when you use Port Arthur nstant Limb Lines ! *No mechanical parts to break or rust..... Works great in ALL Weather and Temperatures ! What is great about our product, is that we have simple, step-by- step instructions right on the box. Also, You can use these Limblines as soon as you get your box! We look for simple and precision and that's what we brought here with these limblines! We would like to thank you for interest in our product. At Port Arthur Limb lines, our main goal is customer satisfaction. If you are not happy about the product, please feel free to contact us directly! We WILL get the issue resolved!! To contact me, please look into our "contact us" tab, above. You can simply fill out the form, or give us a call. We will make sure all forms will be examined and you will get a response very soon! END OF SUMMER & MISSISSIPPI RIVER MONSTER SPECIAL!! We have now a 3 pack deal! 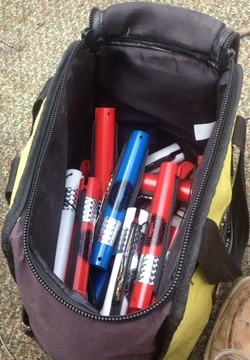 THROW AWAY YOUR TANGLED UP YO YO'S AND YOUR SPRING LOADED DEVISES ! PORT ARTHUR LEAVES YOUR BAIT AND YOUR FISH IN THE WATER ! WILL NOT TRIP AND SPRING BAIT FROM WATER ! NO MORE HANGING BAIT OR HANGING FISH ! IT GIVES A BETTER SURVIVAL RATE FOR YOUR BAIT AND YOUR FISH ! NO MORE HANGING BAIT OR HANGING FISH WHEN YOU RETURN TO HARVEST YOUR CATCH! We are about this new product coming soon!